Our perceptions of our true selves are clouded by the society we live in and the people around us. The Fifth Agreement (2010) introduces five pacts that will help you strip away those misconceptions and uncover the truth about who you really are – without running off to a mountain top to be a hermit. Anyone who wants to feel freer. People who feel discouraged about their life. 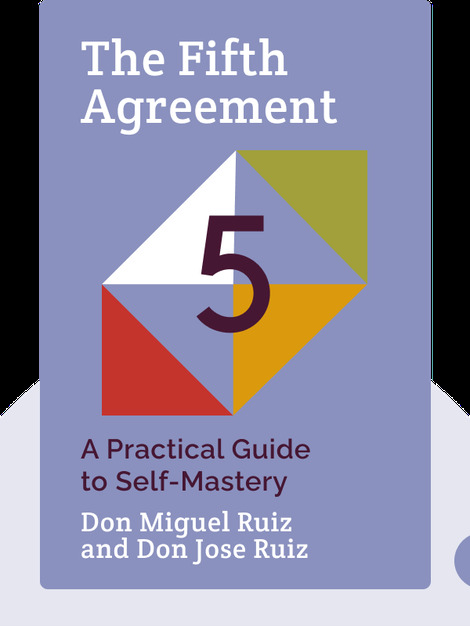 Don Miguel Ruiz is the author of The Four Agreements, which remained a New York Times bestseller for over seven years. His other books include The Mastery of Love and The Voice of Knowledge. He draws on the philosophies of the Toltec culture, which flourished in Mexico over a thousand years ago. 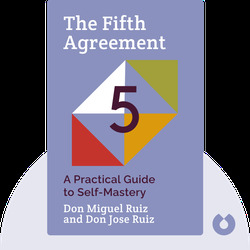 Don Jose Ruiz is the son of Don Miguel Ruiz. Don Jose Ruiz teaches and lectures both in the United States and internationally, helping to spread the wisdom and teachings of Toltec culture.